(Photo: REUTERS / Ahmed Jadallah)Displaced Iraq Christians who fled from Islamic State militants in Mosul, pray at a school acting as a refugee camp in Erbil, Iraq, September 6, 2014. Following the announcement of Mosul's liberation from the Islamic State terrorist group, World Council of Churches general secretary Olav Fykse Tveit is calling for a commitment to restoring the social and religious diversity of the city and region. 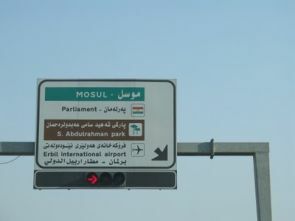 Mosul has witnessed violent conflict that has left much Iraq's second city in ruins, the killing of thousands of people, and displaced nearly a million more. "While every right-minded person in the world must surely welcome the reduction and removal of the inhumanly brutal IS regime, reports of the loss of life, displacement of its inhabitants, and the devastation of the city indicate that it has come at a terrible cost," said Tveit. Flanked by Iraqi forces, Iraqi Prime Minister Haider al-Abadi declared Mosul has been recaptured from ISIS as IS or Daesh is also known, CNN reported. "From here, from the heart of the liberated and free Mosul, by the sacrifices of the Iraqis from all the provinces, we declare the great victory for all of Iraq and Iraqis," al-Abadi announced July 10. "This is a great celebration that crowned the victories of the fighters and the Iraqis over the last three years." Peter Prove, director of the WCC Commission of the Churches on International Affairs, said, "The further suffering of its people and the destruction of the physical city are now added to the toll of IS' extremist violence." Prove observed that if armed force is the principal response to the phenomenon, the liberation of Mosul will only encourage a new dissemination and proliferation of violent extremism. "Nor will the conclusion of this military campaign restore the social and religious diversity of the city and the region of the Nineveh Plain from which so many people, including Christians and ethno-religious minority communities, have fled seeking refuge from IS brutality," he said. For example Iraq boasted a Christian population of two million in 2003 but has seen the numbers decimated to around 230,000 today. When ISIS took the city in 2014, some 100,000 Christians fled as the terrorists ordered them to convert to Islam, pay tribute money or be killed, the Express reported. The WCC is aiming its appeal to the Iraqi government, to the Kurdistan regional government, and to the United States and other members of the international community "who bear particular responsibility for Iraq's present situation". They must commit political and financial resources to rebuild Mosul and the liberated areas of the Nineveh Plain, not only the physical infrastructure but also the communities which have been displaced. "The members of the international community have an ethical, moral and legal responsibility to provide all necessary support to the governmental authorities of Iraq, nationally and regionally, in achieving this future," Prove noted. "The awful alternative is a desolation rather than a liberation, to further cycles of instability and conflict, and a region and a world that is less rather than more secure." Tveit called on all WCC member churches, ecumenical and interfaith partners, and all people of faith and good will, to join in prayer for the people and society of Iraq. 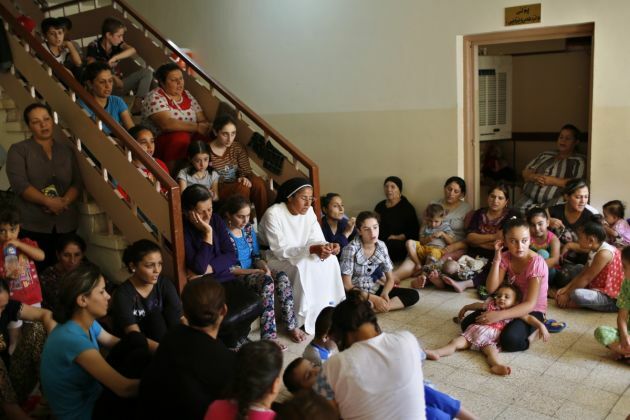 "We invite all member churches and church-related organizations, to join in supporting those who fled Mosul and the liberated areas of the Nineveh Plains, to assist them to return and to rebuild their lives and communities."